Material: Aluminium. Colour: Black. Size: 25 cm. Durable Non-Stick Double coated Aluminium Tawa of 1 Year warranty. It has an excellent heat distribution system which is easy to clean and maintain. On those busy mornings, whip up the perfect pancake, make crispy dosa or simply cook puffy omelet quickly with this Tawa from Premier. Constructed using high-quality aluminum, this hard-anodized tawa ensures even distribution of heat throughout the surface. 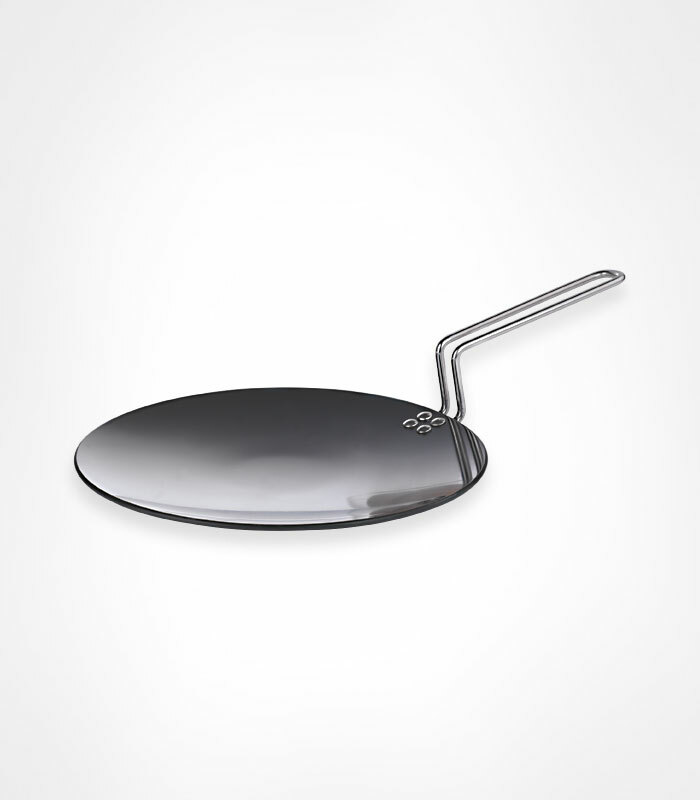 Designed with a non-induction bottom, this tawa is ideal for use on gas stoves. To enable easy handling and shifting, this Tawa is enhanced with a stay-cool and comfortable stainless steel handle.